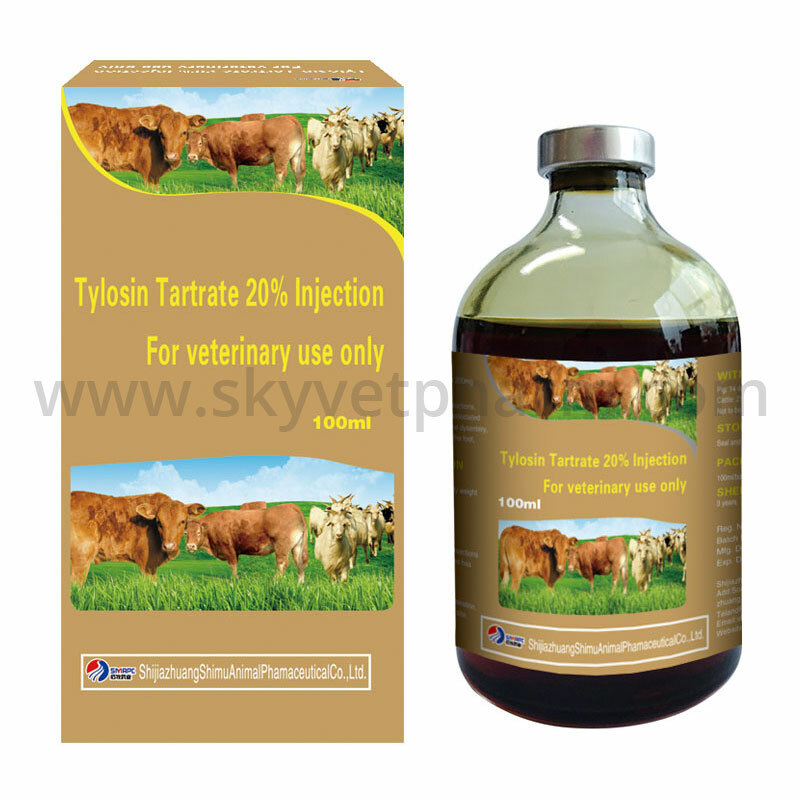 You may know Tylosin Tartrate For Chicken Chronic Respiratory, Tylosin Tartrate Chicken Infectious Rhinitis, we will introduce you other functions of Tylosin. 1. Chicken chronic respiratory diseases, infectious rhinitis, air sac, pneumonia, laryngitis caused by snoring, coughing, sneezing, tears, facial swelling, difficulty breathing, yellow and green loose stools, lack of energy, and after using the vaccine Snoring, throwing nose, etc., at the same time have excellent effects on the treatment of E. coli disease, salmonellosis, pasteurellosis, staphylococcal disease. 2, Mycoplasma pneumoniae, mycoplasma arthritis, pant, endemic pneumonia, atrophic rhinitis. Tylosin has a good growth-promoting effect. As a feed additive, rational use of tylosin can not only prevent livestock and poultry diseases and protect the health of livestock and poultry, but also can significantly promote the growth and development of livestock and poultry, especially for young livestock and poultry. The effect of livestock and poultry in the growing period is significant, which can play a role in improving feed utilization, shortening the feeding cycle, and increasing the economic benefits of breeding.